This is one of those Must-Hear episodes of The Virtual Memories Show, people! I know I love all my kids, but I admit this one’s pretty special; give it a few minutes and you’ll understand why. 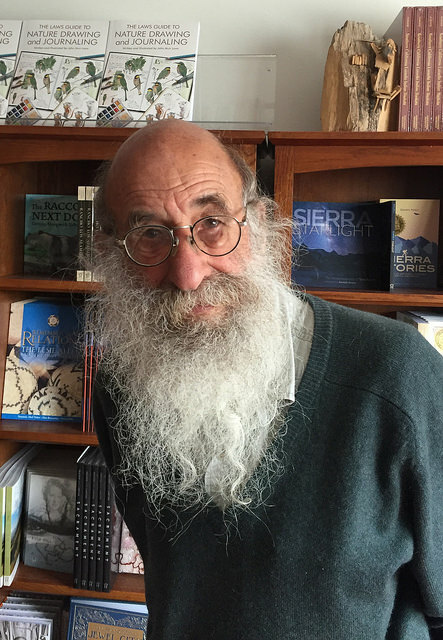 After a remarkable 40-year career, publisher Malcolm Margolin is retiring from Heyday Books in Berkeley. He joins the show to talk about the liberation of being unimportant, building a roundhouse to fall apart, the “dress code” necessary to make things palatable to a mainstream audience, his efforts to chronicle California Indian culture, his next act(s), and more! Give it a listen! We also talk about the craziest golf foursome ever, the two-week-plus run of LSD that may have changed his life, his hatred of salesmanship (and environmentalists), the publishing revolution of the ‘70s, how we learn to live in a world bigger than our capacity to understand it, the inscription he’d want on his headphone e’d what drew him to publishing all those years ago (the beautiful women)! Give it a listen! 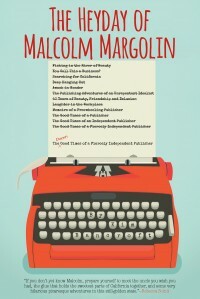 Malcolm Margolin is an author, publisher, and the founder and executive director of Heyday Books, an independent nonprofit publisher and cultural institution in Berkeley, CA. In 1974 he founded Heyday with the publication of his book The East Bay Out: A Personal Guide to the East Bay Regional Parks . Malcolm is the author/editor of eight books including The Ohlone Way: Indian Life in the San Francisco-Monterey Bay Area , named by the San Francisco Chronicle as one of the hundred most important books of the 20th century by a western writer. His essays and articles have appeared in a number of periodicals including The Nation, Small Press, National Parks, the San Francisco Chronicle, and the Los Angeles Times. He retired from his role as publisher at Heyday Books this year. Credits: This episode’s music is Nothing’s Gonna Bring Me Down by David Baerwald, used with permission of the artist. The conversation was recorded at the offices of Heyday Books on a Zoom H2n digital recorder (because I screwed up with my main recorder). I recorded the intro and outro on a Blue enCORE 200 Microphone feeding into a Mackie Onyx Blackjack 2×2 USB Recording Interface . Processing was done in Audacity and Logic Pro. Photos of Malcolm by me.